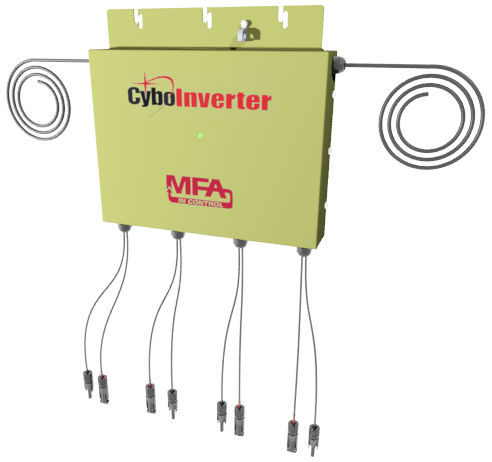 Solar Ontario is proud to introduce the latest Solar Inverter from CyboEnergy - the CI-Mini-1200H/N! This new system combines 4 - 300 watt PV panels to provide either heat or electric power - from the same system. Not only that it can do this with or without batteries! This remarkable technology, built in California is now avialable in Canada through Solar PV Heat . For more information check this page on our website.